When planning to showcase the best of Australia with the ultimate Australian holiday experience NSW has it all. Port Stephens offers the most interactive holiday experience for locals and overseas guests to enjoy. Recently we have hosted a number of overseas guests which has been an amazing experience. To be able to see our beautiful region from a visitors point of view has been an eye opening experience for us as locals. Having done so much here are my top tips of ways to have the Ultimate Aussie Experience in Port Stephens. 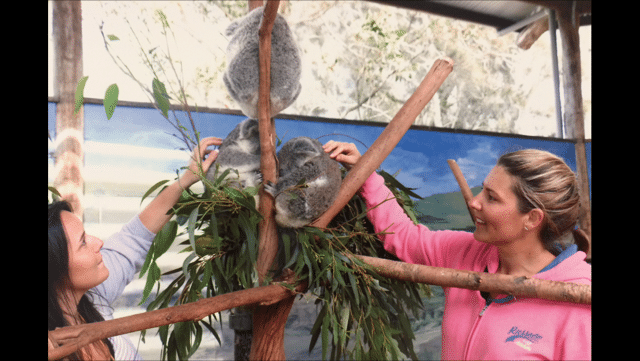 Oakvale Farm Koala Encounter – with a additional cost to the entry you can get up close and personal with the Koalas. With behind the scenes access this is a truly unique and amazing experience. The keeper also takes brilliant photos for you to take home to remember your experience. Oakvale Farm hand feeding Kangaroos – with only the entry cost into Oakvale Farm and a bag of feed (they sell) and you can spend as long as you like hand feeding the kangaroos. There are also lots of other animals at Oakvale you can feed including baby lambs and goats. 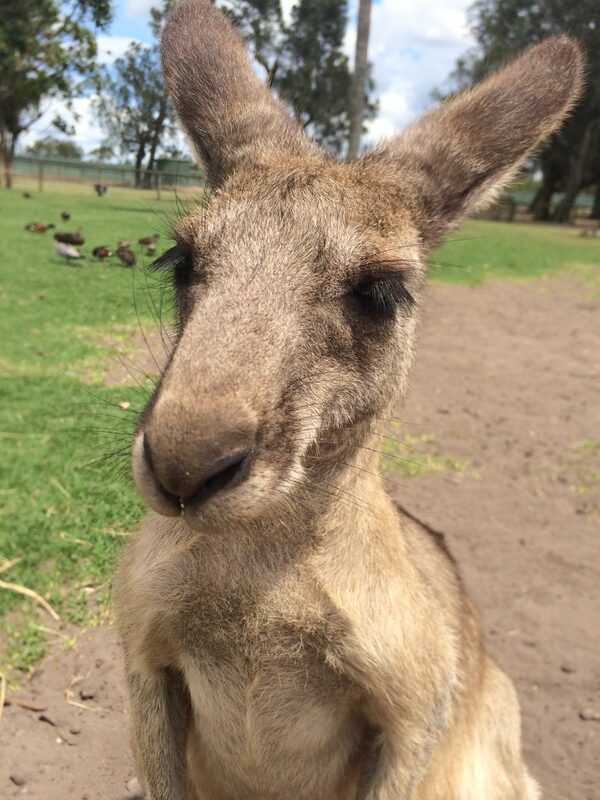 The Kangaroos are so placid and friendly they will be grabbing your hand for more food. 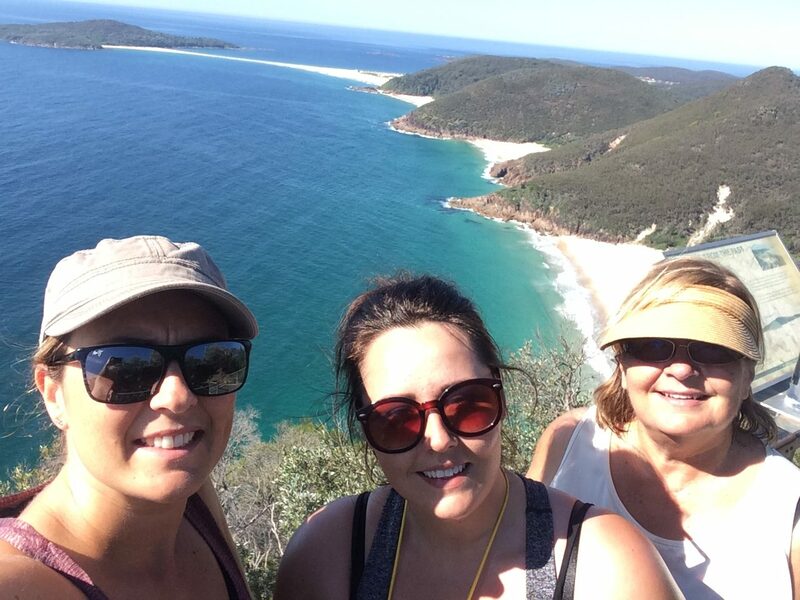 Tomaree Headland walk – This is a free bush walk with stunning 360 degree views of Port Stephens. The perfect photo location as well as Whale watching when they are passing our coastline. A popular activity to do while in Port Stephens through the National Park passing lots of Fauna and the occasional wildlife. In the warmer months this is best done first thing in the morning. 4WD Sandboarding adventure on the sand dunes – the sand dune s that just keep on going are an amazing location to slide up and down. Port Stephens is home to the largest sand dunes in the southern hemisphere. The 4WD bus out the dune and back is an adventure of it’s own. You are able to go up and down the dunes for as long as you like. 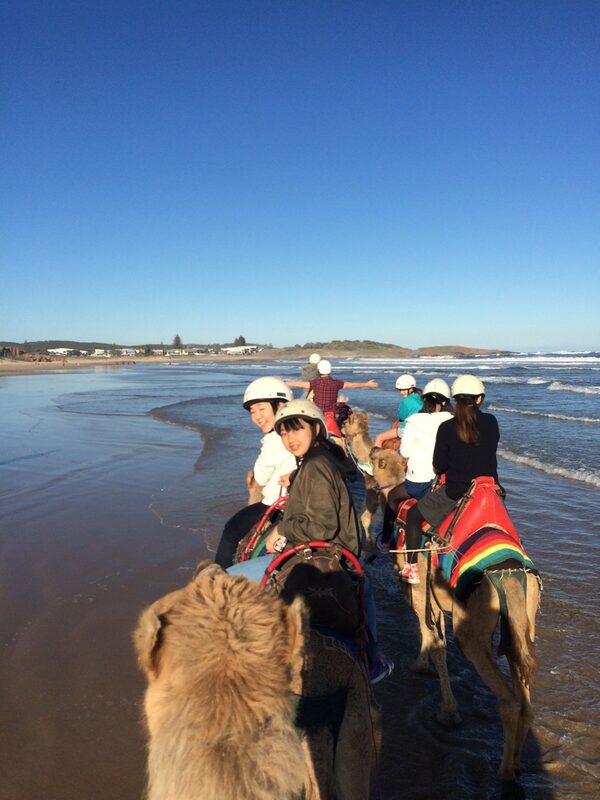 Camel ride on the beach – The camels are a funny looking animal as you get up close to them for a quick selfie. Then jump onto the camels for this great activity which is only 20 minutes but so amazing. A slow walk around the dunes and then onto the beach where you feel like a rock star with everyone coming over to have a look. The time goes slow and the whole experience relaxing making you really appreciate your surrounds. Morning or Afternoon Tea at the Inner light House– for the best Coffee with scones, jam and cream this is a must. With the bonus of some amazing views as well. The rainbow Lorikeets are so friendly and don’t mind helping themselves to the jam either. Macadamia Farm – Located at Medowie is Port Stephens very own Macadamia Farm. With freshest local produce and products available. Their best kept secret is the freshly made Macadamia Ice-cream. The best little pot of goodness you will ever try. Dolphin Cruise – Nelson Bay is where our cruises depart and this stunning bay offers the Dolphin Cruise over our clear blue waters. With the bay being home to many dolphins, you are certain to see them in their natural environment and if you are lucky you may even see some baby dolphins. Snokelling – There is some amazing location and tours to enjoy the underwater world. Port Stephens is home to Marine park which allows the marine life to thrive. We spent hours snorkelling around the area and saw the most stunning fish, rays and sea life. Moonshadow offer a Snorkelling day tour to Broughton Island which is another stunning location to visit. The beaches are stunning – with over 30 beaches to choose from for a walk or a swim, waves or no waves there is a beach for everyone. Surfing, SUP, jet ski’s, kayaking or just to have a relaxing evening BBQ there are beaches everywhere. For the ultimate Australian holiday experience NSW has to offer it can all be done in Port Stephens. Experience the best of everything Australia offers in the one location. There is so much more to see and do of course but these are my top picks.